Those who have come out publicly as atheists have been not only isolated by their friends and families, but also society in general. However, others who turn down their familial religion have faced many worse trials than mere isolation. Asmaa Omar, 24, who has just graduated the Faculty of Engineering, said that once she revealed her beliefs to her family, they began to physically and mentally torture her. Her father slapped her in the face and broke her jaw. She was not able to eat properly for seven months. Ayman Ramzy Nakhla, 42, comes from a Protestant background. He worked in preaching Christianity with the church, but then decided to abandon religion altogether. He is now not very much concerned with knowing if God really exists or not. Nakhla’s father was a priest, and Nakha worked for ten years as librarian in the Theology College of the Evangelical Church, and as an assistant to a priest, which is an administrative position. Ramzy says that this background was the one that actually led him to lose interest in religion, getting so close to the truth of the Church made him decide to leave it. 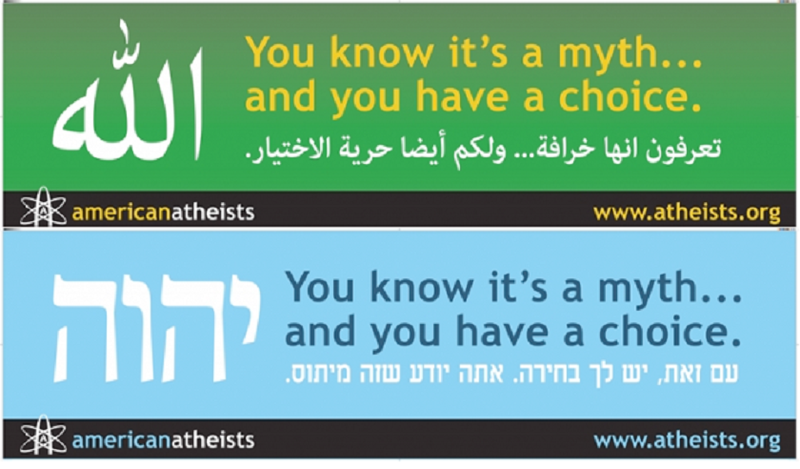 Other atheists say they believe atheism is in fact more moral than the old, rigid moral codes offered by traditional religions. Omar says her journey began when prominent cardiologist Madgy Yaqoub managed to treat a two-year old relative of hers in open heart surgery. Rahman, the child, had a valve that did not work and another with malformation. The successful operation led Omar to wonder how a man such as the doctor, who had lived his life saving many children like Rahma, could be thrown to hell for not being a Muslim. Omar found that religions just chose its followers to end up in heaven, and say that other people would go to hell, regardless for whatever good deeds they do in their life. Omar says she believes in God, but is against all religions. She says she is still looking for Him and is not aware of His truth. Some atheists, however, still feel without religion, they are missing something. Despite her rejection of religion, Kamel still misses the spiritual side, resorting to Sufism as she attends Sufis meetings and listen to sufi music, especially those of al-Naqshbandi and Nasr Eddin Tobar. She also enjoys listening to Christian hymns and is massively affected by them. She says, however, that this is just a need for spirituality, nothing more. Kamel goes back to saying that she has not yet reached a final result for her inner conflict. Indeed, Egypt is changing. Your vote: Is this for better or for worse? « What Path will Egypt’s Muslim Brotherhood Choose?